Tom Cochrun /Light Breezes: WHAT DO YOU SAY? The rigging on the tall masts anchored in Morro Bay symbolically captures the mood of complexity in the US these days-lots of angles. "Let me see. 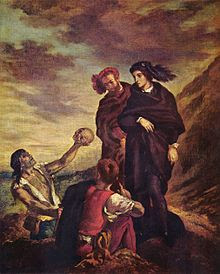 (takes the skull) Alas, poor Yorick! I knew him, Horatio, a fellow of infinite jest, of most excellent fancy. He hath borne me on his back a thousand times, and now, how abhorred in my imagination it is! An explanation in a moment but there is a fascinating detail about the image above. The actor is David Tennant from the 2008 Royal Shakespeare Company Production and the skull is no mere stage prop, it is the skull of Pianist Andre Tchaikowsky. Tchaikowsky's skull was used by Tennant at the Courtyard theatre in Stratford-upon-Avon. When the production moved to London's West End, the skull was replaced by a prop as the company thought news of Tchaikowsky's skull distracted the audience. The painting above by Philip Calderon is from 1868 and depicts the young Lord Hamlet riding his beloved jester Yorick one of those thousand times. Now here's the link. Charlie Rose, Matt Lauer, and Kevin Spacey- "...and now, how abhorred in my imagination..."
I suspect our revulsion at the revelations about these media stars abusing women and misusing their influence is because we had admired their talent. That is for Rose and Spacey, in my opinion. what do you say to your kids, matt lauer? It was reported the first thing Lauer did after being fired was drive to the private school to tell his teen son. How do you explain your perverted behavior to your offspring? What could he have said to offset the news of his disgusting behavior? I'd like to hear Lauer square his treatment of women colleagues with the fact he has a daughter. Someone should ask him what he would think or do if someone did to his daughter what he did to someone else's daughter? I was never a fan of Lauer. I was surprised he got the job after Bryant Gumble departed the Today Show. On his best day he was only a middling talent. There are many more effective communicators, hosts and news anchors working on local television stations. Even in the NBC stable there were more talented people. what do you say to all your high falutin' friends charlie rose? What a painful series of calls, visits and conversations for Charlie Rose. As a journalist and interviewer he had the respect of the worlds best, brightest, most powerful, creative, beautiful and important. People seemed in awe of finally being a guest on his long running interview program. It must be a huge fall. I watched Rose for as long as he did his PBS program and over the years learned and gained insights. Rose's behavior surprises and disappoints as much any on the list of fallen. It seems no matter the level of their wealth, a wealth that can allow them all to live more comfortably than a majority of people, they cannot escape the ignominy their vile behavior earned them. It proves again, you can't always trust what you see-especially in a celebrity conscious media. Revolution is costly. I hope we are in the early days of a new era in interpersonal relationships in the work place. Perhaps a greater awareness of past abuses will guide us to more appropriate behavior and fairness, but I also hope that it will extend to race, ethnicity, gender identification and age as well as sexual behavior. Equal=Equal, period! Atlantic's new opus on vice-president Pence contains revelations he and other republicans discussed a coup to depose trump after the Access Hollywood tapes were released. The piece documents the Pence "nod and wink" approach to supporting trump, as though saying-don't worry, I've got this covered. I wonder how long before trump starts blasting his loyal servant? Like all those ropes and lines. Angles. Power. It's complicated. Manafort championed Pence, another useful dummy? Mueller getting Trump's banking records from Deutsche Bank that's the story and of course Prince Jared has a 1.6 billion dollar note due Feb 1...Shakespearean? I think so. It's only a matter of time before Trump turns on Pence. Trump demands loyalty but doesn't give it. Regarding Charlie Rose, ML, and all the others a question still is causing a rift, between genders and age groups. It's been discussed at length, and you've broached it here. Do you, or how do you, separate a persons work (sometimes art, as in film or actual art painting, writing, etc) and their behaviours in social situations? To the young, my childrens generation (40's-30's) it's black and white. To me and some of my ilk it has grey shades, perhaps because it's what we see in the mirror in the mornings. I have no answers. I am fearful of the divisions it's causing, I think it is going to hurt progressives more than our opponents, and the divisions in age groups. And I don't know that the syndrome of unintended consequences has been fully considered, if it can be. None of my heroes have gone down in the current behaviorial accounting. Garrison Keilor and Charlie Rose are as close as I've come, at least. I don't know how I'd handle it if they did. What sort of cognitive dissonance I'd experience and how it would affect me. Lou Reed, William Burroughs, Alan Watts, and William Douglas were probably awful people and their talents influenced me. But they're all dead. How do I handle the contributions and talents of awful people?